This entry was posted in Foodstuffs, Recipes and tagged avocado dressing, cilantro, lime, melon, recipes, salad, vegan, vegetarian. Bookmark the permalink. 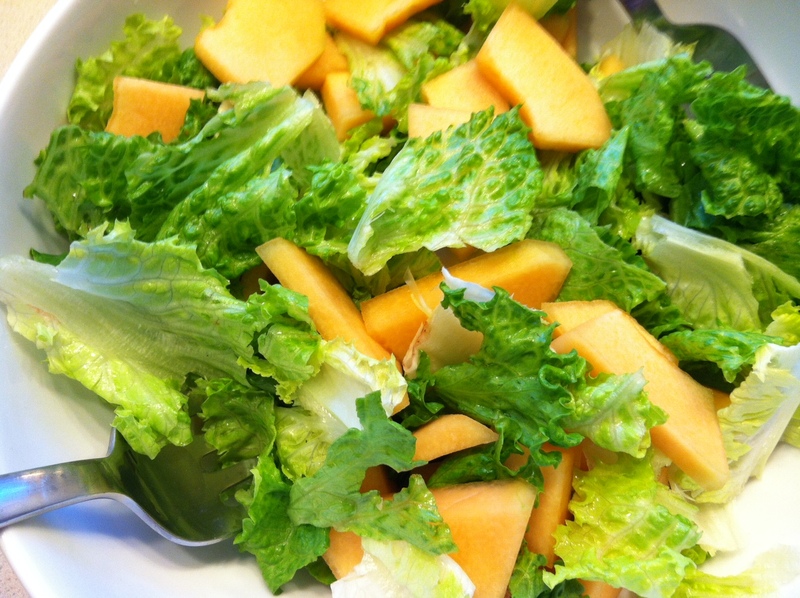 I never have put lettuce with melon but now I am going to do it, like right now. I can eat 1-2 melons in a brief moment so really melon anything gets me excited. That’s great! 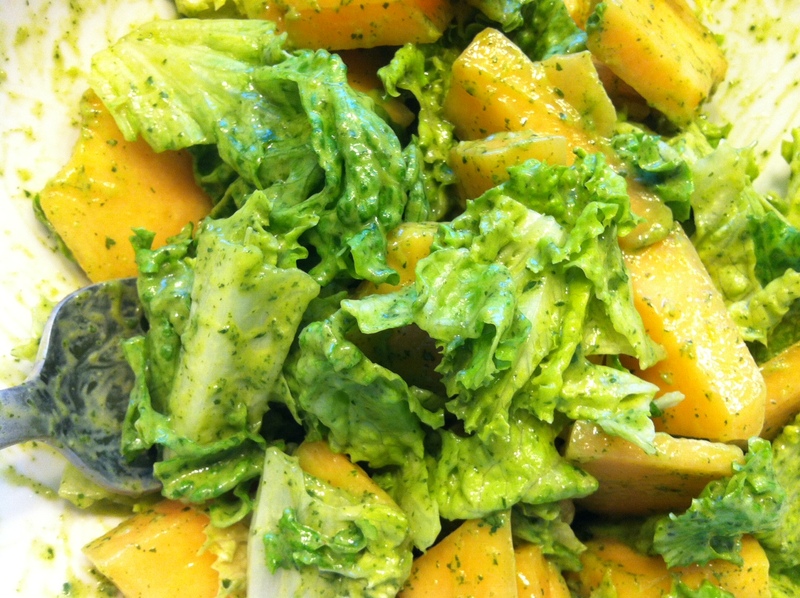 Cantaloupe on its own with mint and lime is one of my favorites too.